Join Danny Getzlaf's friends and community for their BBQ at the Morinville Fish & Game Clubhouse. Tickets are $10 and includes a burger and pasta salad. There will also be a Social and Meat Draw to follow. 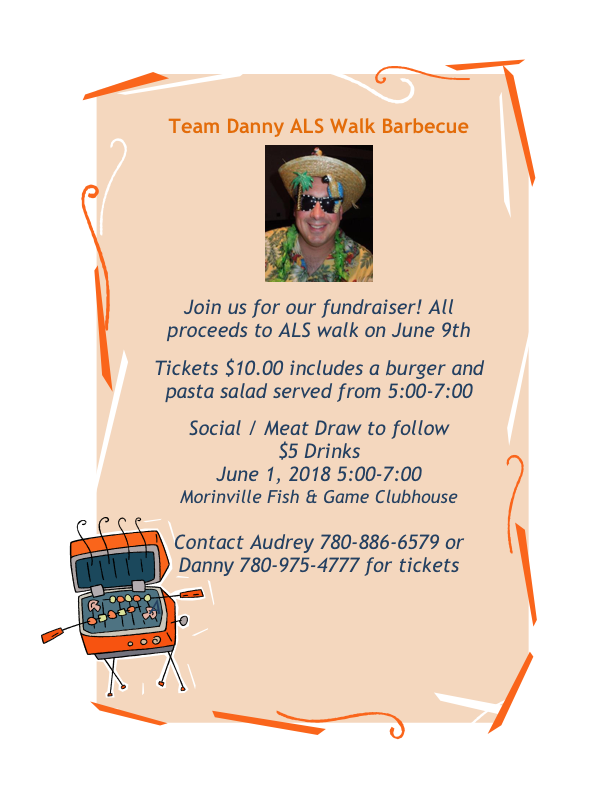 All proceeds will go towards the Edmonton WALK for ALS on June 9th. Hope to see you there!